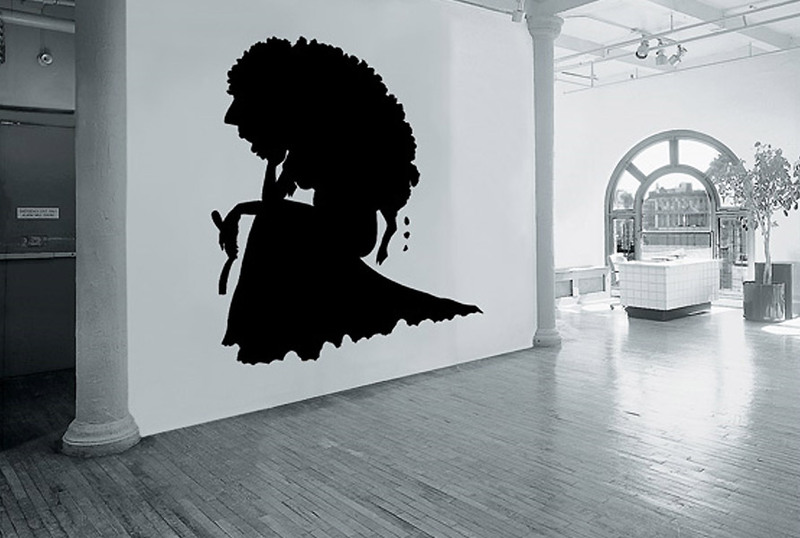 Kara Walker, born 1969 in California, lives and works in Rhode Island. 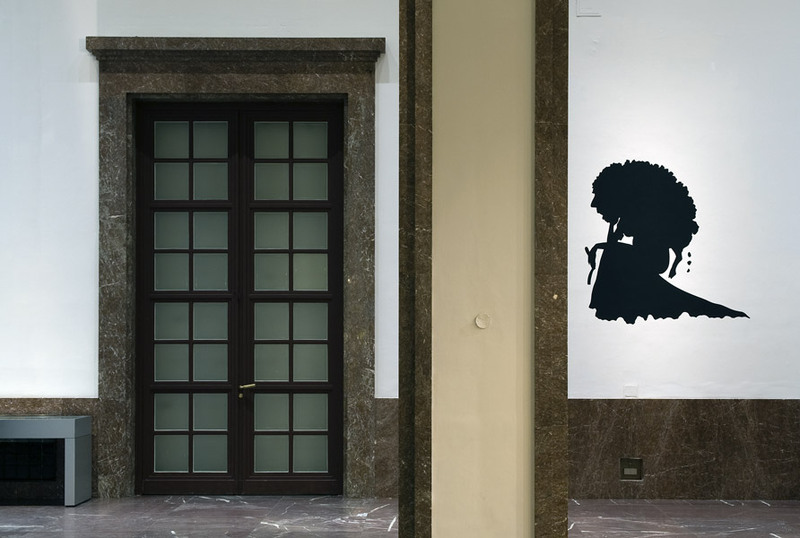 Kara Walker has seized the traditional colonial silhouette - usually a small-scale memento - and turned it on its head, showing another side of America to deliver a biting, satirical comment on racist representations with art that´s cut to heighten perceptions. By depicting graphic and violent scenes with beauty of line and abstract simplicity, Walker grants the viewer enough of a remove to digest her provocative, potent material.